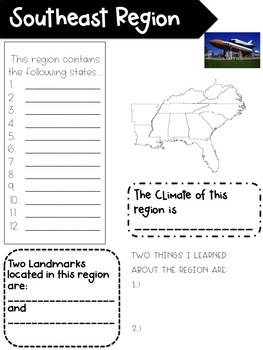 Are you and your students studying the US Regions? I got so bored just having them memorize the states in each region on the map! 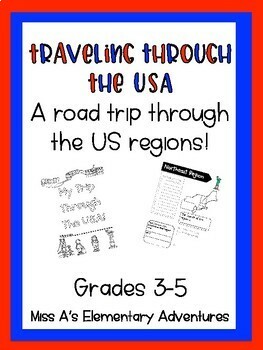 I came up with this fun unit where the students and I embark on a road trip through each region of the United States. 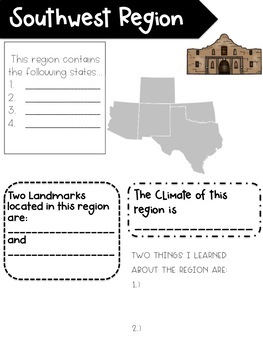 While we are learning what states are located in the region, we also visit several attractions that the region is known for. Students document their trip in their regions "scrapbook". They will record new learnings about the region and also "take pictures" of the different places they visited. If you want to give your students a unforgettable experience in Geography, this is it!